Home Tags Posts tagged with "Khader Nawaz Khan"
ENDORSED by the likes of Shah Rukh Khan and Gauri Khan, the Mumbai-based Da��decor boasts of the largest woven curtain and upholstery mill in India. 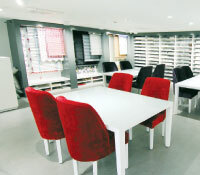 The store has two floors of upholstery, wallpaper, curtains and bedding options. Their latest addition is a window blind section with quirky offerings like blinds with motifs of tiny Matildas reading a book (Rs 135 per sq ft). Manufactured in Dubai, the blinds can be customised and come in a motorised version as well, besides having aluminium and Venetian options. Unique to the store are their in-house designers, after sales servicing team and their own tailoring unit. a�?The first thing about us, is that our store is a one-stop-shop for a complete portfolio of products. 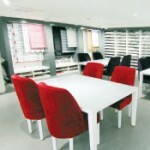 At any given point of time, we manufacture 6,000-7,000 stock keeping units of curtains and upholstery per day. Above that, we have bedding and wallpaper too,a�? says Mumbai-based Subashri Prasad, Da��decora��s general manager of branding. Curtains: Their Cosmopolitan collection is inspired by the ombre technique. They have adapted it to create floral ombre. The effect is enhanced using digital print technology. Rs 835 per metre onwards.